Home > SEO > How Much Does SEO Cost? 07 Sep How Much Does SEO Cost? People ask me all the time, “How much does SEO cost?” To understand the answer, you must first understand why modern SEO is completely different from the old days of just ‘link building’. Today we’re talking SEO. 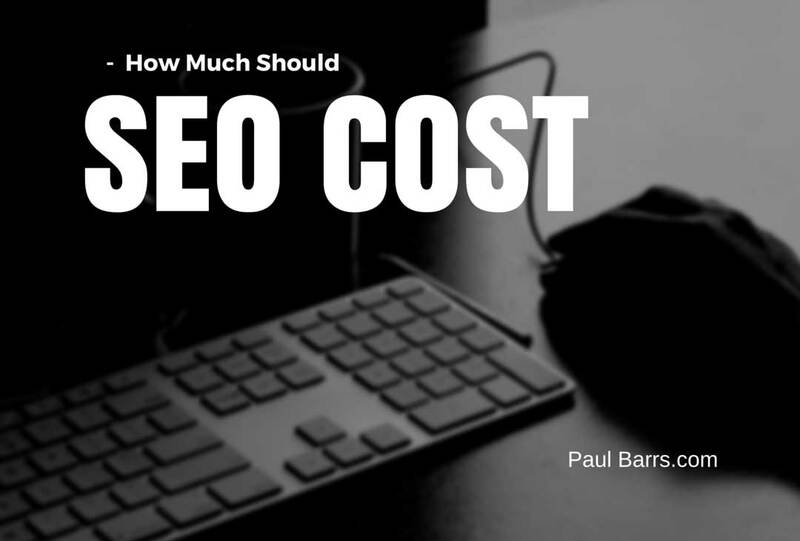 How much should SEO cost? It’s a big question, isn’t it? I’ve seen prices ranging from $300 a month up to $1,500, even $2,000 a month for those top premier products. The question for you though as a business owner is: How much should you be paying? What’s right? What’s wrong? What are you getting in return for that money? If you’d like to know those answers, stick around for a few minutes, and I’ll share them with you. Now here’s the thing. I’m going to assume, at this point, that all of the on-page SEO for your site has been done. I mean there are two different elements of search engine optimisation. There’s the things you do on your pages, and then there’s the things that you do off your pages. Very quickly, everything begins with good, solid keyword research, then the on-page work. That is the content. That is the structure of the site. That is the technical. That is the elements of responsive design. That is the menus. That is the internal linking. That is all of those things, which can probably take a month or two sometimes just to get done properly. But once they’re done, they’re generally done. You don’t need to keep doing them. Just monitor and make sure that everything is working fine. Then we move to the second part, which is what’s called the off-page, everything that is done off your page. Well, in order to understand the question, “How much does SEO cost,” you have to first understand how modern SEO is different from the older style SEO as we’ve done it in past years. Very simply, this was the strategy in past years. We would do the on-page stuff, the keywords, the meta title, the descriptions, the pages. Then we’d move to the off page, and we would outsource backlinking. Now backlinking is a process where you get links from other places back to yours. It is an important ranking factor. No doubt. But once upon a time, all we did was we’d outsource this to an agency or to somebody overseas who could very easily do this at low cost, and they’d just get links from all different places. They might be doing some kind of blog commenting, or 2.0, you’ve heard that phrase, the social network bookmarking and all of these different things to get these links back. That evolved. In a little bit of time people said, “Oh, we need to start sending content with that link.” So they would do articles and article spinning and maybe a top 5, top 10 lists, things like that. Then we do blog commenting, and we’d get it out there and we’d have articles, guest blogging and all sorts of different things to get these links back to us. And in principle, it’s the right strategy. But the delivery in today’s modern SEO world is completely different. People have evolved. We have as consumers begun to realise that, guess what? Crap content is what? Crap content. It’s never going to improve. 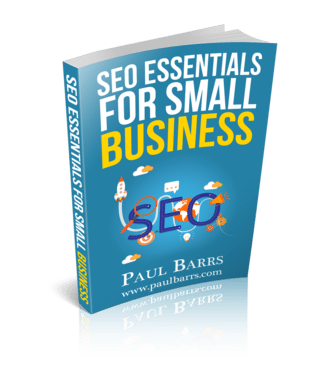 So the strategy from a good SEO agency point of view in today’s modern SEO world isn’t just to go and make the quickest possible thing happen to get you a link back to your website. And remember, keep in mind what I said earlier. On-page SEO, generally a one time thing. Then we have to be producing content to go out and bring people back. I’m sure you’ve heard that before. This can’t possibly be the first time you’ve come across that strategy. Here’s the way I like to think about it, and here’s the way I like to say it. Every link back to your website must be accompanied by a link. Not just the link. The link must be accompanied by content. That’s what you need to remember. The link is accompanied by content. So here’s the reason why and the difference between the $300 a month SEO, pure, old-school strategy and the $1,000 a month SEO, the $1,500 a month SEO, depending on how much, what, content is being created and then delivered to bring those links back to you. And that’s what it comes down to in today’s modern SEO. So I want you to understand this. For $300 a month, how many quality articles do you think maybe I could write for $300 a month? Two? One, two, certainly. I mean, okay, I have a degree in writing. It’s a little bit different. I can write and would apply myself to that. But a good article, you know, we’re talking 30 to 45 minutes for a really good article. Or are we? But you can shrink that down to maybe 15 to 20 minutes if you want to. Let’s say 20 minutes. How many good articles could you get for $300 a month, 20 minutes each. Let’s see that’s three for an hour. Let’s work on maybe $100 an hour for someone with some reasonable quality. There’s six articles. Oh, hang on. We’ve got to also be able to get them out there through our social media. We’ve also got to be able to get them onto our blog. We’ve got to be able to look for other opportunities where people may publish and republish your content. So let’s scrap that down back to two. So we spend less than an hour. We produce some content. We’ve then only got two hours, four a month, to go out and get those links back. Not much time and really it doesn’t give you much opportunity. This is what I want you to understand. Whereas a package which is $750, $1,000 a month, that might include doing some videos like this one here, and then taking those videos, using the transcripts to produce the foundation of those articles, to produce the blog posts which get shared to your social media, to also then engage them over a period of time so that they’re repurposed in that content, to create perhaps thumbnail and placeholder images, which are relevant to yours, and they could be used for SlideShare images, and they could be used to create content again and again and again. Here’s the thing. You can outsource your content creation. You can and you probably should. I believe you should at least have the foundation for it. But the higher the skill of the person writing the content or speaking, recording the content in this case, the more that’s going to cost. Now what I want you to understand in these last few moments is this. SEO, how much should it cost? Really you’ve just got to look at the time value. How much time? I believe if they’re not giving you, whoever’s doing your SEO, at least 8 to 10 hours a month, and that’s not much. Eight to ten hours a month, that’s a day and a bit. If they’re not giving you at least that much time, that much effort, what’s the point? But for $30 bucks an hour you’re not going to get somebody really highly skilled. You’re certainly not going to get a technical agency being able to do all of this for you. So here’s the formula. Come up with some foundation content. Use it to produce some videos for YouTube. Use it to become the foundation for your blog posts. Use it to repurpose and share them out to social media. Use the same thing to repurpose and share out to your newsletter. Make it evergreen content so you can repurpose and share it again in the future. And every time it gets shared out as well as you’re looking for opportunities for other links back to you through other non-competitive but complementary websites. Remember the link must be accompanied by content. Now you’re beginning to understand why modern SEO costs a lot more than it used to, because modern SEO is about managing and creating content. It’s about managing and creating content for your blog and even putting it there. It’s about using that same content and managing your social media content. So it’s not just the link. It’s not just the link. That’s what I need you to understand. Modern SEO is about the creation of the content. It’s about the distribution of the content. It’s about the management of that content in your social media. It’s about the management of your blog with that content, and it’s also about looking for other link building opportunities, links accompanied by content out there on the Web. You can’t do that for $300 a month. You just can’t. It’s absolutely impossible. It costs at least 8 to, what, 10 hours a month minimum. Really you’re looking at 10 to 15 hours a month to get that done properly. So how much does SEO cost? How much should it cost? You really need to be serious and working around $750 to $1,500 a month, absolutely, and have that working for at least six months. We might talk more about that in the next video. How long does it take to get results from SEO? But I hope I’ve answered that first question: How much should it cost? Understand the difference between just link building and complete content creation, management, and distribution. That’s modern SEO. You have a great day, and I’ll talk to you again soon. Bye-bye.